For once, a moderately timely word-of-the-week post. This week, word nerd blogs weighed in on Scrabble’s addition of two words to its list of sanctioned playables: qin (a Chinese zither) and fiqh (an expansion of Sharia Islamic law). My first reaction? Fine, I guess, but the rulemakers are obviously just adding words that allow players to make better use of their “Q” tiles. And though that may well be the case, one commenter on the post over at Language Hat points out that both these words have, in fact, been used more and more frequently in English texts in the last twenty years. So there’s that, at least. 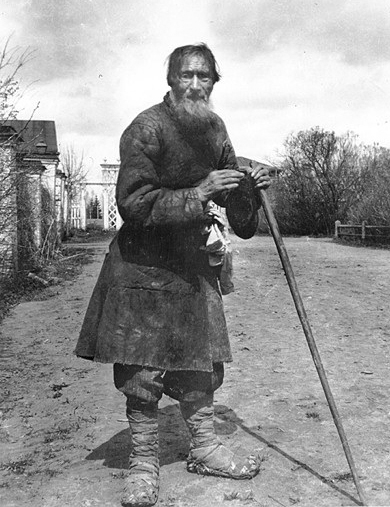 muzjiks (moo-ZHEEK) — noun: Russian peasants. I put it in the plural because that “S” at the end makes it a seven-letter word, meaning playing it could earn you the 50-point bonus for using all your tiles on a single turn. Discounting bonuses and double- and triple-scores, it nets its user 29 points. If used strategically, however, muzjiks could get the user as many as 128. And that, really, is about all I can say about muzjiks. Go ahead, Google it: Virtually all your hits result from this word’s status as Scrabble’s secret game-changer. And that is neat and all, but something about this makes me vaguely uncomfortable, sort of in the same way that I feel when I think about turning Native American caricatures into sports team mascots. But perhaps I am just overthinking this, right? I mean, Scrabble is just Scrabble, after all. You hear that, poor old little Russian man? You may smell of hay and ash, and your simple, rough textiles may scratch the skin, and you may be unable to clean the beat juice from the cracks in your hands, but you are of worth to someone, somewhere: the Scrabble player! Oh, how he loves you! … No, he does not wish to see you or help you, per se, but he will use your existence to his advantage! Okay, now, do hobble along! So "muzjik" is actually used fairly frequently in Russian. At least in my family, which, as we've already established, is entirely made up of these people http://www.youtube.com/watch?v=zkcARkVUHwA. So we're probably not particularly representative. In any case, we use it less in the "dirty peasant" sense as the "not particularly pleasant word for a random dude" sense. Like, I'd say, "I was at the store the other day and some muzjik tried to steal six hams right in front of me before being severely beaten by the police." Dina: I'm glad you've embraced your heritage.